Metal Details: Charles Krypell 18k yellow gold design. Chain Measurements: 32 inches in length. Pendant Details:Pendant measures 19mm in length with "Two Hearts Beat As One" engraved on the back. 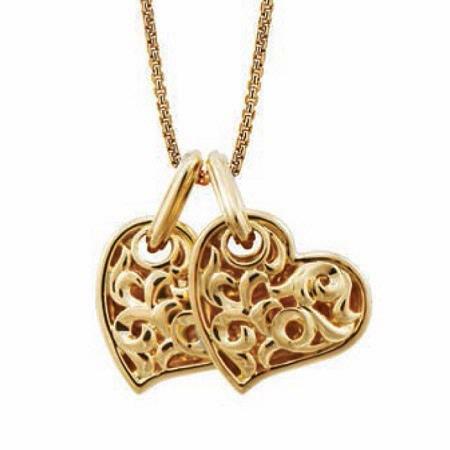 This is a beautiful Charles Krypell large 18k yellow gold necklace with "Two Hearts Beast As One" engraved on the back measuring 19mm. This necklace is approximately 32 inches in length. The pendant measures 19mm in length with "Two Hearts Beat As One" engraved on the back. We are an authorized Charles Krypell dealer. Please call for pricing 1-800-790-6980 or 1-212-302-2863.